A dental emergency can be defined as any situation where immediate intervention is required in order to save a tooth, halt bleeding, or relieve severe pain. 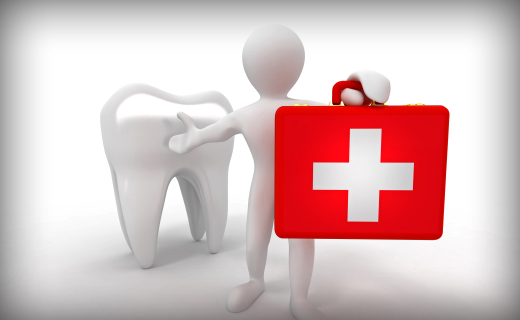 Many emergencies can be prevented if you see your dentist regularly for check-ups and maintain good oral hygiene. When emergency dental services are required, your dentist is the first person to call, so be sure you keep the clinic’s regular and after-hours contact information updated and in a place you can find easily. 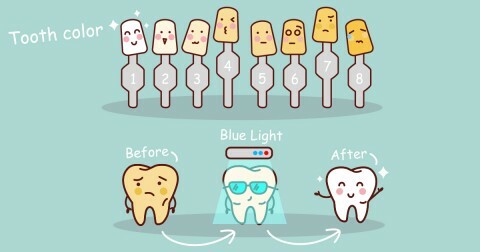 In some emergencies, the actions you take in the first few minutes can save your tooth. Whether you’re at home or on the go, the following dental emergency tips can help you stay prepared. If a tooth is completely knocked out of its socket, quick action is required to save it. Rinse the tooth in water, and attempt to place it back into the socket. If this isn’t possible, store the tooth in milk. Call an emergency dentist immediately for instructions. Gently try to move the tooth back into position using your finger. Don’t force it. Make an emergency appointment with your dentist. Cracks and chips that don’t cause pain are usually not an emergency, but a fractured tooth may be serious. Rinse with warm water, and apply a cold compress if swelling is present. Make an appointment with an emergency dentist. If you are in pain, take acetaminophen. Never use aspirin or Oragel as these can damage gum tissue. Puncture wounds, tears, and lacerations to the cheeks, lips, or tongue can be serious. Clean the area with lukewarm water. Place pressure on the wound if it is bleeding. Call your oral surgeon, or visit a hospital emergency room immediately. Do not take aspirin as it can increase bleeding. In general, if any of the following occurs, it is time to seek emergency dental services.